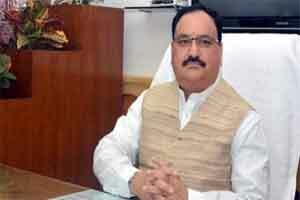 After the incident of recent speculation in media over the suspected cases of polio across the country, the Union Health minister, JP Nadda has come out in the open and clarified that no new polio case in India has emerged. The results of the suspected polio cases were discarded as non-polio acute flaccid paralysis cases, after the tests. India was declared a polio free nation, its significant healthcare achievement for global recognition by World Health Organisation (WHO) South-East Asia Region. The WHO has certified India along with 10 other countries as Polio free by the Regional Polio Certification Commission on the March 27, 2014. Elaborating a bit on the current practices in India to remain polio free, JP Nadda has reported to have said that in India, two rounds of high quality national immunisation day (Pulse Polio) are being conducted each year, sub national immunisation (SNID) rounds being implemented in high risk states such as Uttar Pradesh, Bihar, Delhi and high risk population pockets in Haryana, Punjab, Gujarat, Maharashtra, Rajasthan, Jharkhand, Uttarakhand and West Bengal. Nadda said that more than 100 vaccination posts are functioning along the international borders of India with Nepal, Pakistan, Bangladesh, Myanmar and Bhutan to administer oral polio vaccine drops throughout the year to all children below five years entering India. India has also made polio vaccination a mandatory requirement for travellers irrespective of age coming from and going to polio infected countries, the Minister said. He further added that certification standard surveillance for cases with acute flaccid paralysis is in place to detect importation or emergence of polio case and more than 50,000 AFP cases are being investigated annually across India.